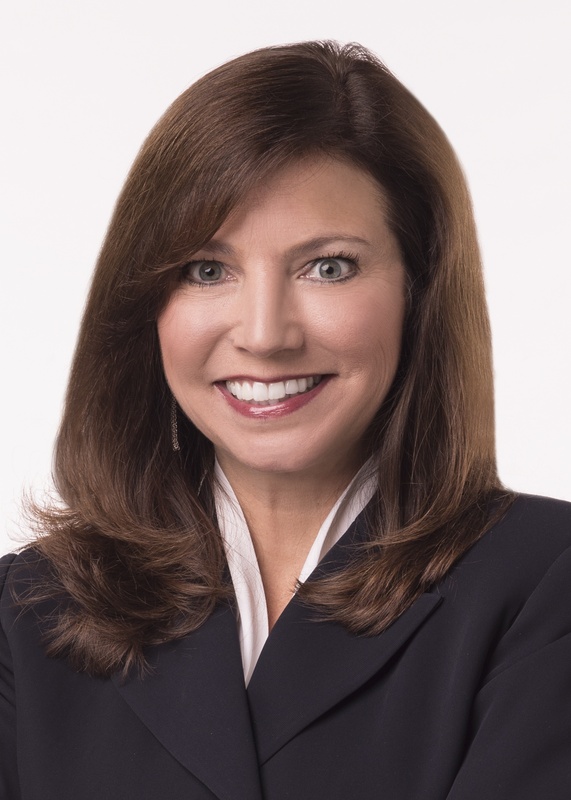 Amy M. Johnston is a seasoned litigator who specializes in complex commercial disputes and class actions with an emphasis on banking, energy, manufacturing and real estate industries. 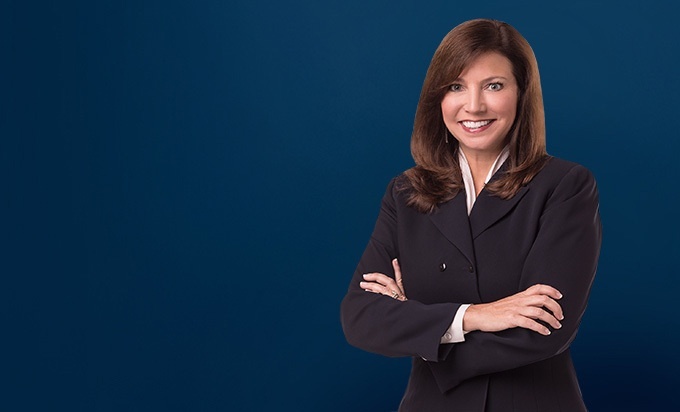 With more than 20 years of courtroom and commercial arbitration experience, Amy has represented large and small companies in business, trade secret, anti-trust, environmental, oil and gas, construction, real estate, UCC, petroleum marketing, mass tort, contract and product liability matters. She has also represented lender clients in defensive litigation as well as real estate workouts and foreclosures in Michigan and Ohio. Clients routinely look to Amy as trusted counsel. She excels at client service and is well-known for her skills, depth, breath and high reputation in the legal community. Her experience in representing companies from pre-litigation through trial enables her to provide insight into litigation avoidance as well as trial strategies for successful outcomes. Amy's practice is nationwide, having represented clients in state and federal courts and arbitration hearings throughout the United States. Throughout the years, Amy has established solid relationships with clients and developed a deep knowledge and understanding of clients' business objectives. Amy regularly serves as general business counsel to a wide range of companies, from Fortune 500 to start-up. Amy is highly regarded for providing advice on a broad range of business and legal matters with an eye toward consistency in process and long-term business solutions. Amy is publicly recognized as a leading lawyer. Most recently, she was honored for her leadership in Michigan Lawyers Weekly's 2014 Women in the Law. Amy has been recognized on U.S. News & World Report's "Top 25 Women Lawyers in Michigan" list since 2016, "Top 50 Women Lawyers in Michigan" since 2011 and "Best Lawyers in America" since 2008. She has been a Fellow of the Litigation Counsel of America, the Trial Lawyer Honorary Society since 2007. Amy has extensive experience in a variety of oil and gas, product liability, commercial and class action litigation as noted below. Successfully defended lenders against allegations of fraud, UCC violations, breach of contract and conspiracy theories. Successfully defended Special Servicer in Certificateholders' action alleging breaches of Master Pooling and Servicing Agreement. Represented lenders in commercial foreclosure actions in Michigan and Ohio. Managed portfolio of foreclosure actions in Illinois. Secured multiple preliminary injunctions and/or favorable settlements for large automotive manufacturer against suppliers arising out of disputes on pricing, purchase order terms and conditions, disruption costs and sub-supplier delays. Obtained summary judgment for biotechnology drug company in defense to breach of contract and breach of shareholder agreements. Successfully defended biotechnology company in shareholder derivative action, involving allegations of Securities Act violations, breaches of fiduciary duty and loyalty, and unjust enrichment. Represented multiple closely held corporations in unfair trade practices, pricing and covenants not to compete disputes in courts in New York and Michigan. Successfully secured dismissal of challenges to revised terms in franchisor’s renewal agreements brought by franchisees in federal court. Represented many small and mid-sized corporations in minority shareholder oppression, share dilution and derivative actions. Defended local manufacturing company and obtained summary judgment in case concerning corporate dissolution and allegations of breaches of various contracts and shareholder agreements, fiduciary duties and bad faith. Successfully defended closely held corporation in minority shareholder oppression, breach of fiduciary duty and breach of contract case, resulting in an ability to commence a counter-suit and obtain a large monetary award for the client. In separately litigated matters, Amy has secured preliminary injunctions in various federal and state courts for trademark violations under the Lanham Act for cross-hauling, misbranding and other related trademark issues. Amy regularly represents companies experiencing trademark infringement, including but not limited to counterfeiting and/or misbranding of consumer products. Successfully defended one of the “Big 3” automotive manufacturers in multiple litigations concerning faulty products. Defended various industries in putative class action cases brought under nuisance and negligence theories from purported industrial emissions. Successfully defended major oil company in putative class action involving allegations of underground storage tank leaks and related groundwater contamination. Represented major oil company in putative class action concerning nuisance and negligence allegations arising from an explosion at a refinery. Defended large tobacco company in putative class action involving allegations of false branding/labeling. Represents one of the world’s largest publicly traded engineering, procurement, construction and project management company in various construction-related disputes involving claims of negligence, misrepresentation, breach of contract, unjust enrichment, improper termination and scheduling issues. Represented developers, builders and real estate management companies in commercial lease, land use, partnership, business torts and related environmental issues. Enforced deed and use restrictions for various commercial properties, including gas stations, retail outlets and franchises, concerning brand, product and site limitations in courts in Michigan, Ohio, Indiana, Illinois and Wisconsin. Extensive experience representing investors, financial institutions and development/drilling companies and manufacturers in oil and gas leases, developments, easements, land restrictions/platting, royalties, timber/vegetation and related disputes. Her experience ranges from lease negotiation and drafting through litigation. Amy has handled oil and gas lease issues in Michigan and Ohio. Represented large refinery in construction-related claims arising from expansion of the facility. Handled oil well development disputes that have included contract negotiation, real estate (title, zoning, easement), trespass, nuisance, adverse possession and development rights. Represented principal developer of one of Michigan’s largest brownfield redevelopments in trade secrets dispute with former contractor relating to water filtration technology. Successfully defended major oil companies in complex litigation matters concerning upstream natural gas production involving application of foreign and state laws. Obtained dismissal for Michigan’s largest public energy company in overriding royalty dispute concerning allegations of breach of fiduciary duty, alter ego, fraudulent drainage and lack of unitization of a gas field. Represented large natural gas energy company in contract negotiations concerning hot flame, transportation, propane and pricing issues. Successfully prosecuted multi-million dollar claims of large petroleum company for breach of contract, warehouseman’s liability and account stated arising from asphalt storage tank failure. Represented large oil pipeline in prosecuting claims of breach of contract and violations of the Uniform Commercial Code in relation to faulty additives manufactured by defendant. On numerous occasions, Amy has represented major refiners and franchisors in all aspects of petroleum marketing-related counseling and litigation, including terminations pursuant to the Petroleum Marketing Practices Act (PMPA) and multi-dealer litigation involving unfair pricing, product shrinkage, assignment and other franchise related issues in courts throughout the United States, including Alabama, Florida, Illinois, Indiana, Kentucky, Michigan, North Carolina, Ohio, Pennsylvania, Tennessee, Texas and Wisconsin. Trial counsel in a number of product liability cases, including the defense of design, manufacturing, UCC and warning theories for chemicals, biotechnology, automobiles, escalators, medical equipment, power tools, brakes, elevators, tires, component parts and vertical broaching machines. Lead trial counsel in a number of personal injury cases involving wrongful death, amputation, scalping and various other injuries brought on theories of negligence, strict liability, nuisance, contractor liability and related claims in cases throughout the United States. Amy frequently presents on trial practice and procedure, and business and personal injury litigation issues. She has been a speaker and moderator at various State Bar of Michigan, Ohio Bar Association and American Bar Association conferences. She also provides private presentations to large and small businesses on litigation considerations, including risk management, litigation avoidance, evidence preservation and alternative dispute resolution.